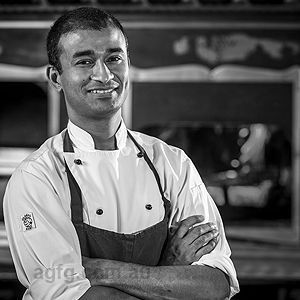 History: My passion for food began when I was at school working in my own time at a rugby club in Chatswood in Sydney just to get some exposure into the industry. 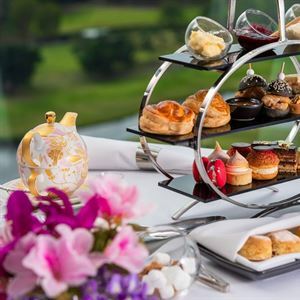 This confirmed that I would leave school and get a job at the Manly Pacific Park Royal to start my apprenticeship, after 2 years I moved onto restaurant CBD which was my first real taste of fine dining, it was awarded one hat, I was then hooked immediately! I stayed at Merivale for 2 years and was part of the team that opened est in Melbourne, after 2 years I moved onto Quay with Peter Gilmore who had just started, Quay was soon awarded 3 hats and restaurant of the year a short time later, after 18 months I decided to travel to the UK where I started working for Gordon Ramsay at Claridge’s, my first look at Michelin star dining, this venture provided me my first Pastry experience and shortly after I was head Pastry Chef. After working in this section and learning for 2 years I saw the need for change. Mark Sergeant the head chef asked me if I would ever consider the middle east and in particular Dubai! Without knowing any more than the name I was off to Gordon’s Dubai flagship Verre where I stayed for almost 4 years, then moved to the Seychelles working for a boutique Hilton with 40 rooms which gave me a lot of creative liberty to develop my style, 18 months later I got a call asking me if I would like to run Maze by Gordon Ramsay in Qatar! 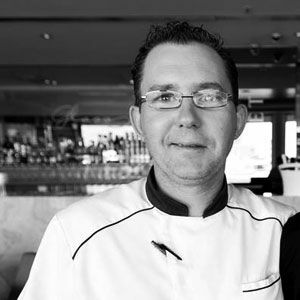 After Maze unfortunately closed due to the alcohol ban, I worked as part of a hospitality company in Qatar before returning home to start a family, I now have commenced as Chef de Cuisine at the highly regarded Videre Restaurant at the RACV Royal Pines. Yes, ever since I was big enough to hold a spoon I have always wanted to get in and help Mum in the kitchen, cooking just made sense to me. My style is defined by my experiences and I always try to pay a bit of a homage in my dishes to my mentors and the places that I have been lucky enough to visit and be part of. Trying to develop a dish further and further, sometimes I will pull out 20 plates and try to find the best way to showcase an ingredient. The presentation can change many times before I find something I’m happy with presenting. 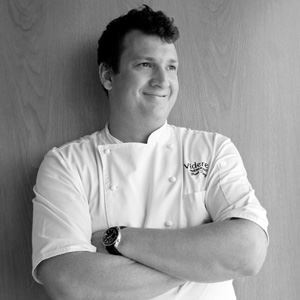 Peter Gilmore would definitely be my greatest inspiration and influence, he taught me how to be a Chef and show how passion and energy was needed to be truly good at your job. He always took the time to teach and mentor the staff, always treating everyone with the utmost respect. Peter always came back from his days off with new ingredients, some he had travelled hours to get and he would go through this incredible process trying new application’s and uses to these now mainstream ingredients. 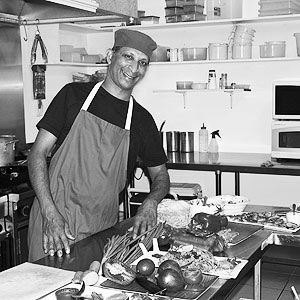 Peter was the first Chef I had encountered that truly was lost in his own world of food and it was contagious! The challenges, every day is different and there is always something new to see and to master. Salt, its presence changes everything, without it, food can’t be manipulated to where we want a flavour to go to. Our Chocolate Brule with 30 year old Muscat Ice cream, some people can’t believe that we would put such a treasure into an ice cream but it works with the Brule and is awesome!!!! This is a tough one as I believe chefs should not choose their signature dishes ,this is dictated by the quests in a dish that many come back for time and time again, as for my favourite dish, I put so much time into all my food it’s hard to choose favourites.